ABC’s Once Upon A Time uses characters from the Disney canon–not necessarily all fairy-tale characters (Mulan and Lancelot, for example)–and places them in the modern world. So far, some of the characters are: Belle, Rumplestiltskin (even though, to the best of my knowledge, he hasn’t shown up in a Disney movie) , Snow White and her stepmother, and her prince; Pinnochio and his father, Geppetto, and Jiminy Cricket; Maleficient; Cinderella; Captain Hook; The Mad Hatter and the Queen of Hearts; Hansel and Gretel; Aladdin’s genie; the Magic Mirror. 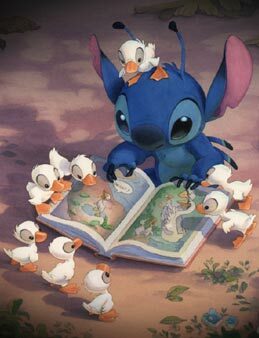 Disney’s Lilo and Stitch references Andersen’s The Ugly Duckling to illustrate how lost Stitch, as an alien being, feels on Earth among humans. The British film The Red Shoes uses Andersen’s story and sets it in the world of ballet. Sleeping Beauty became one of the greatest ballets of all time after its premiere in Imperial Russia in the 19th century. Music by Peter I. Tchaikovsky and choreography by Petipa. The role of Princess Aurora and the Lilac Fairy are highly coveted in the dance world. The film Ever After retells Cinderella as if the characters were real people in 17th century France. Shrek uses many fairy tale characters, including Puss-In-Boots, a Fairy Godmother, Snow White and the Dwarves, Pinnochio, and fairies. The Steadfast Tin Soldier is a part of Disney’s Fantasia 2000. Thumbelina was made into an animated motion picture in the 1990s. The Emperor’s New Clothes was spoofed, in a sense, by Disney’s The Emperor’s New Groove. 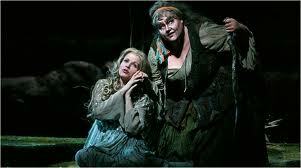 The Princess and the Pea inspired the musical Once Upon A Mattress. 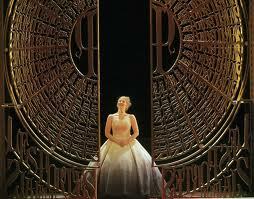 Cinderella has seen several versions in opera: Cendrillion, by Massenet, as well as a version by Rossini. 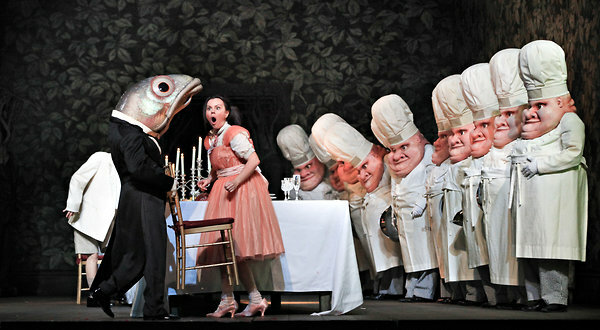 The opera Rulsalka plays off Andersen’s Little Mermaid, but uses the Slavic idea of merwomen who lure men to their deaths with their music and tempting appearance Rusalka, like the Little Mermaid, falls in love with a prince and wants to become human. She also fails in getting him to marry her, and returns to her watery world, but the prince commits suicide in order to be with her. This entry was posted in 31 days, music, pictures and tagged 31 days, Cinderella, Disney, Ever After, fairy tales, Hansel und Gretel, Into The Woods, Lilo and Stithc, Musicals, Once Upon A TimeD, opera, The Red Shoes, The Ugly Duckling. Bookmark the permalink.